I’ll never forget my first prom experience. He was a senior, I was a freshman. I was so excited that I spent the entire day doing my own hair and makeup. I even practiced my hairstyle a month in advance, so it would be perfect on the big day. Then, it happened. On our way to the prom, my date thought it would be “cool” to roll down the windows of the limo. The only problem? We were speeding down the freeway (on an especially cold and windy night). It took only seconds for the wind to turn my gorgeous updo into a giant, tangled mess. OK, so that’s an extreme example, and you probably aren’t dumb enough to roll down your windows on the highway, but I’m sure you’ve had your own weather-related hair horror story. Don’t you wish you had the right weapons to fight this raging war against the elements? Whether the humidity is attacking your cute summer hairstyle, or the rain is ruining one of these gorgeous winter hairstyles, there’s got to be a way to defend yourself. Click here to see how to weather proof your hair for every season. On my quest to beat severe weather, I talked to several hairstylists, who helped me break it down by every weather condition you can possibly think of. They gave me their best hairstyle choices, product recommendations, and styling techniques to keep in mind as we transition from summer to fall — and beyond. Yep, this means we’ve got the secret to banishing frizzy hair for good. 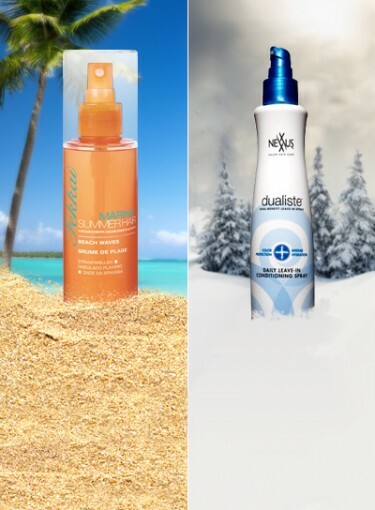 Now, no matter the weather, your hair won’t have to fight a losing battle. That means great hair days, every day. Yep, I’m excited too.